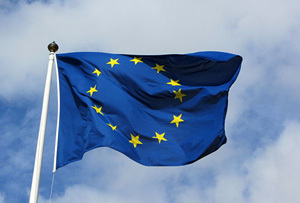 The European Commission has fined banks for their part in rigging Libor rates in Europe and Japan. This isn't the last we'll hear of it. Compared with the US government, which has reaped its revenge with gay abandon, the European Commission has until now been rather reserved about punishing institutions for their part in the rate-rigging scandal. Today, though, it let rip, hitting banks with a record €1.7bn (£1.42bn) fine. Those involved include Deutsche Bank, which was fined €725m and Royal Bank of Scotland (yep - them again), which will pay €391m: both institutions accepted they had taken part in conspiracies to fix the Yen Libor and the Euribor. Societe Generale was accused of attempting to rig Euribor and profiting from related derivatives, for which it was fined €446m, and JP Morgan and Citi were both accused of Yen Libor abuses, for which they will pay €79.8m and €70m respectively. Broker RP Martin was fined €247,000 for ‘facilitating’ the cartel. EU competition commissioner Joaquin Almunia said what was shocking was ‘not only the manipulation of benchmarks, which is being tackled by financial regulators worldwide, but also the collusion between banks who are supposed to be competing with each other’. Alas, this is unlikely to be the last we hear of the rate-rigging saga. It’s been the gift that keeps on giving for the US, which has so far extracted several billion from disgraced institutions. And there are other banks who haven’t escaped quite yet: the EC is still looking into bad behaviour by Credit Agricole, HSBC, JPMorgan and broker ICAP. They have all rejected a settlement, so it’s more than likely they’ll face formal charges at some point in the not-too-distant future.